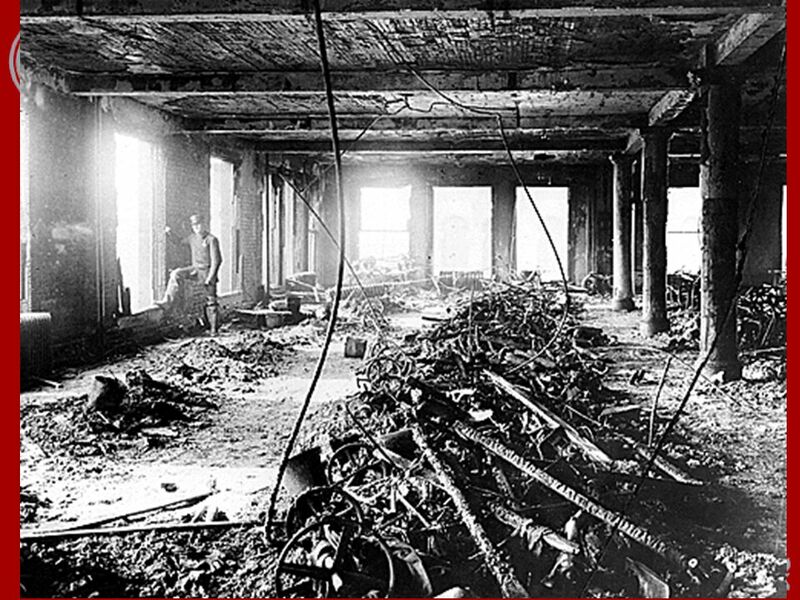 The Rise of Labor Unions in the Late 1800s Chapter 6 Section 4 © Shawn McCusker. 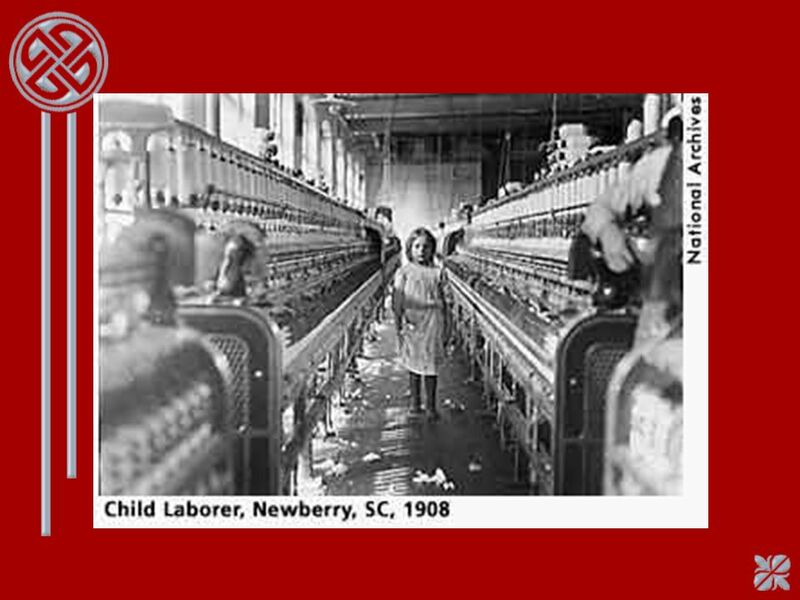 4 Women and children began working. 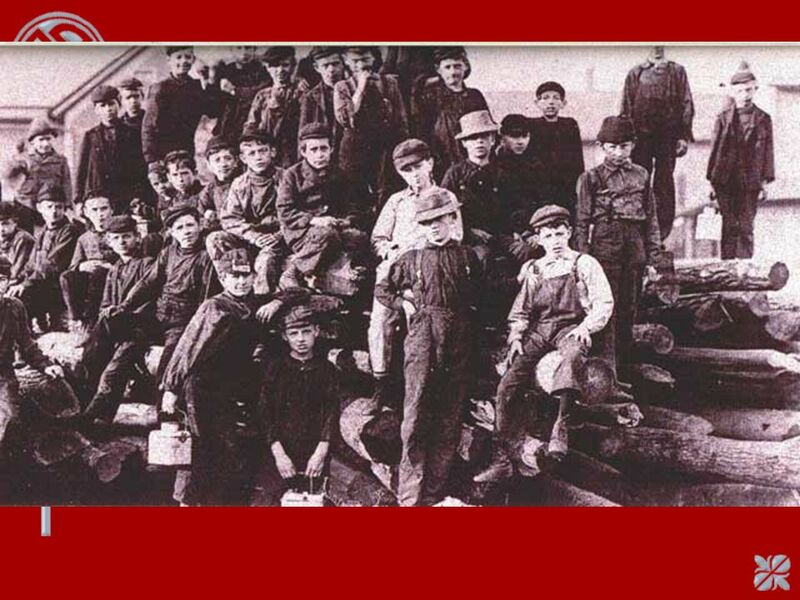 1890-1910- –20% of boys under 15 work full time. 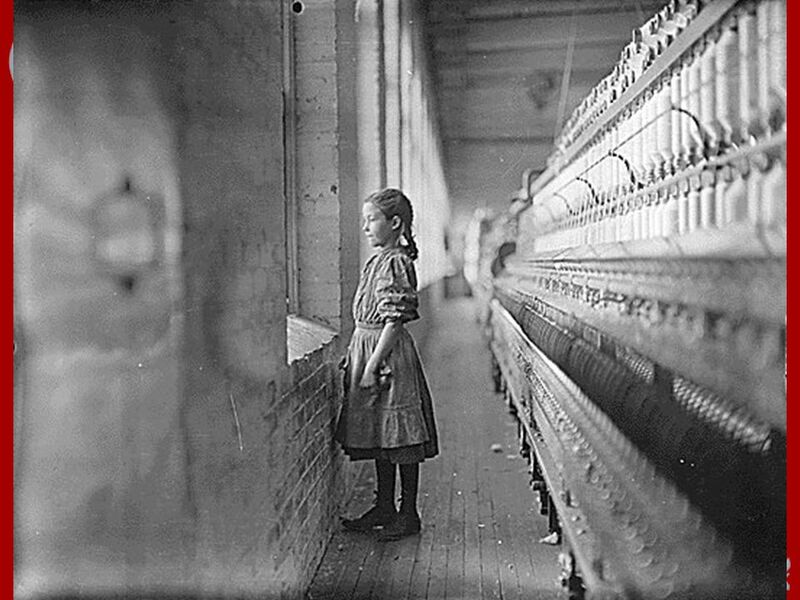 –10% of girls under 15 work full time. 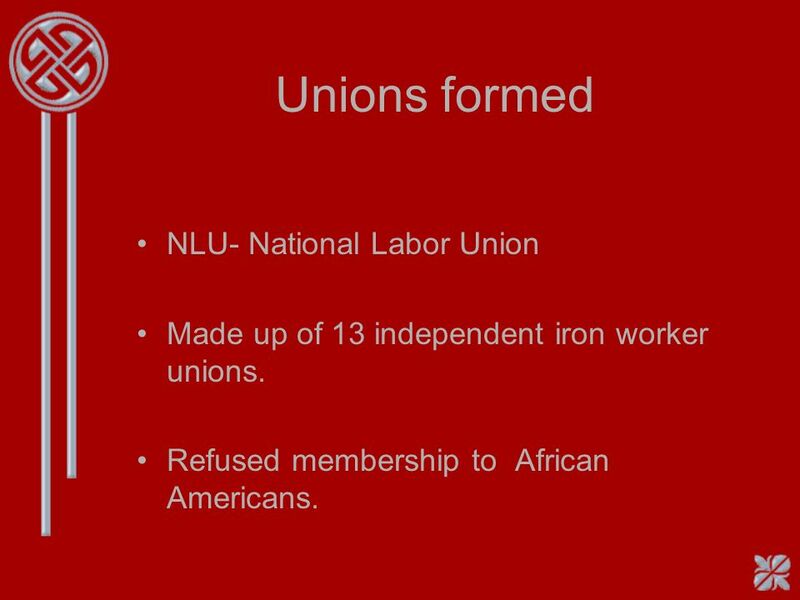 10 Unions formed NLU- National Labor Union Made up of 13 independent iron worker unions. 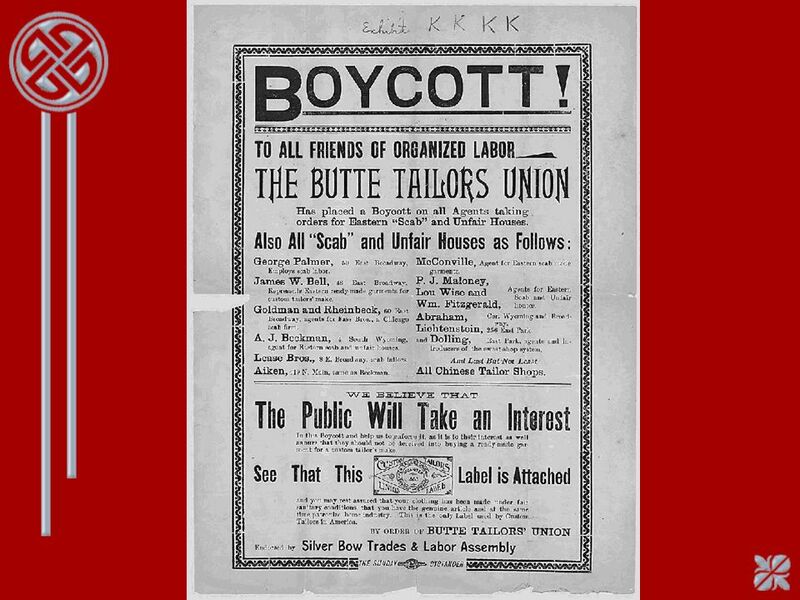 Refused membership to African Americans. 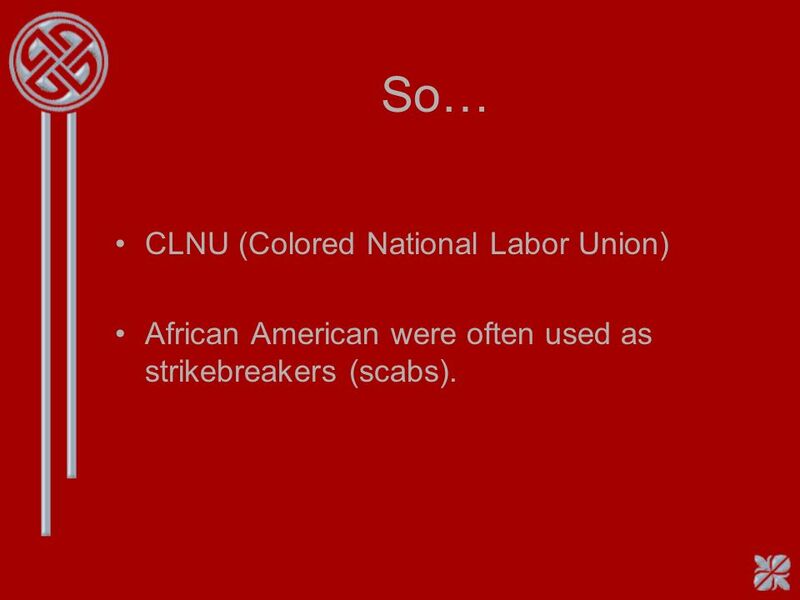 11 So… CLNU (Colored National Labor Union) African American were often used as strikebreakers (scabs). 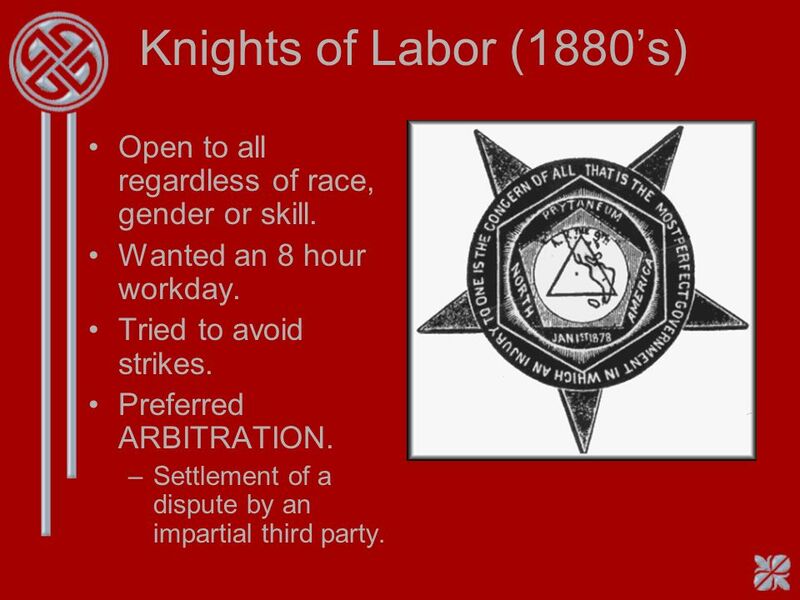 12 Knights of Labor (1880s) Open to all regardless of race, gender or skill. Wanted an 8 hour workday. Tried to avoid strikes. Preferred ARBITRATION. 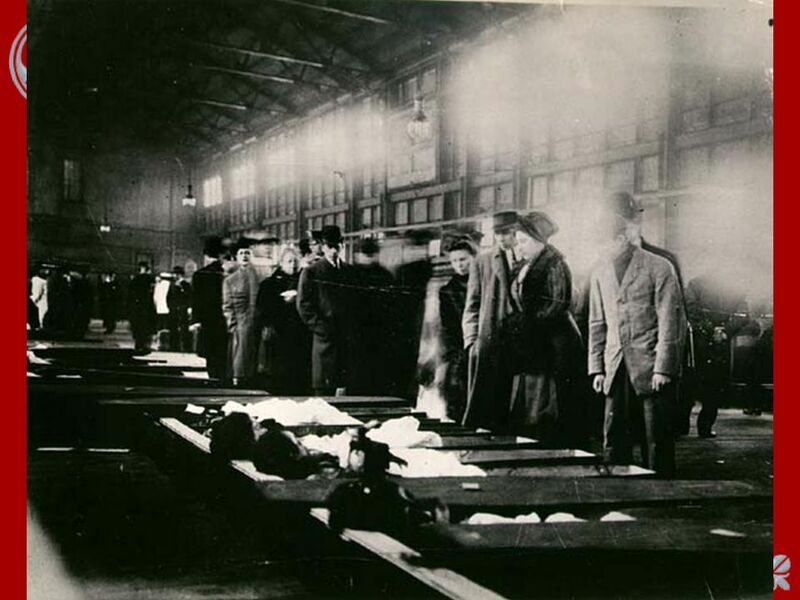 –Settlement of a dispute by an impartial third party. 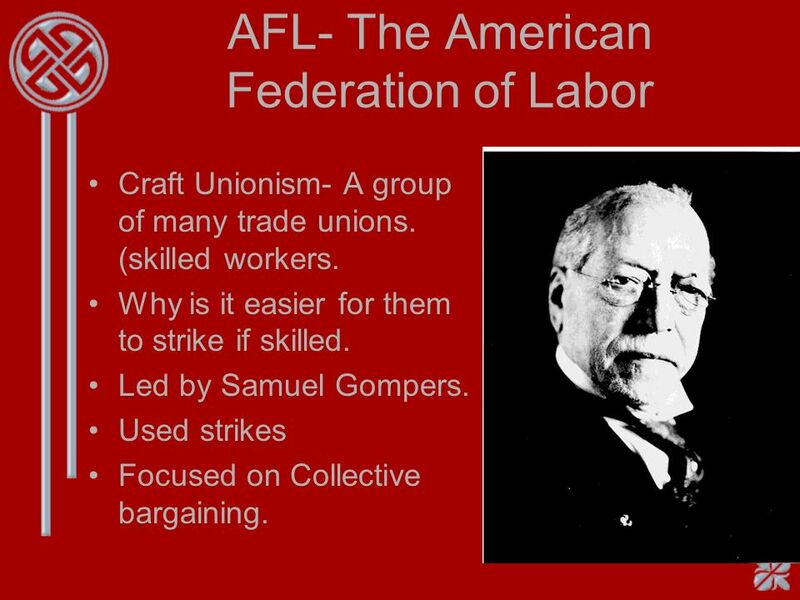 14 AFL- The American Federation of Labor Craft Unionism- A group of many trade unions. 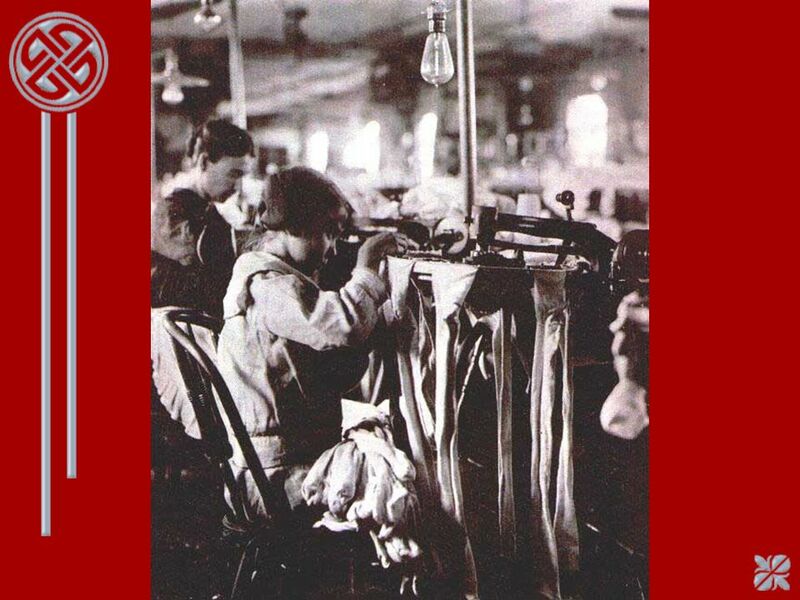 (skilled workers. Why is it easier for them to strike if skilled. 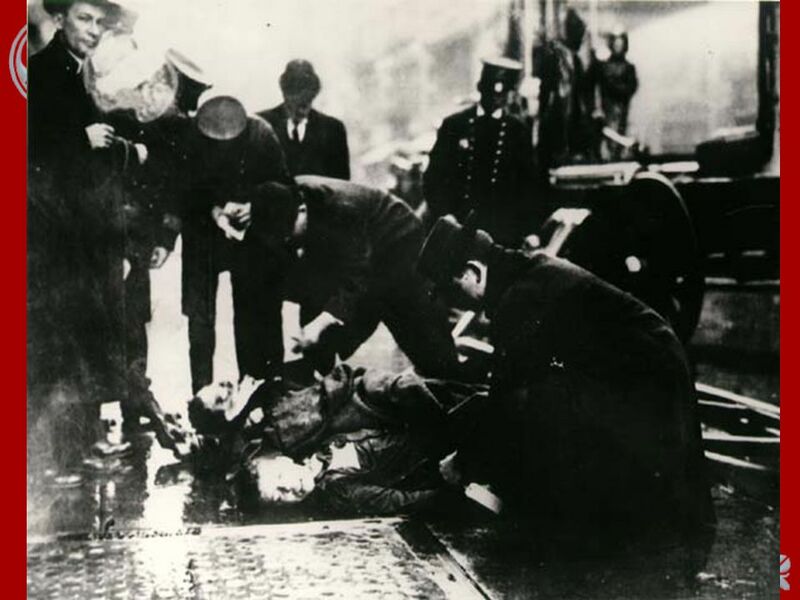 Led by Samuel Gompers. 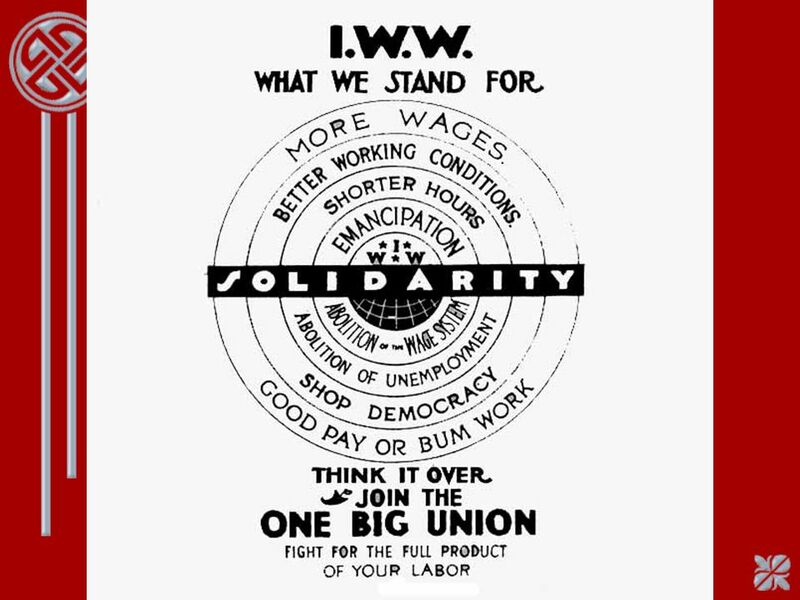 Used strikes Focused on Collective bargaining. 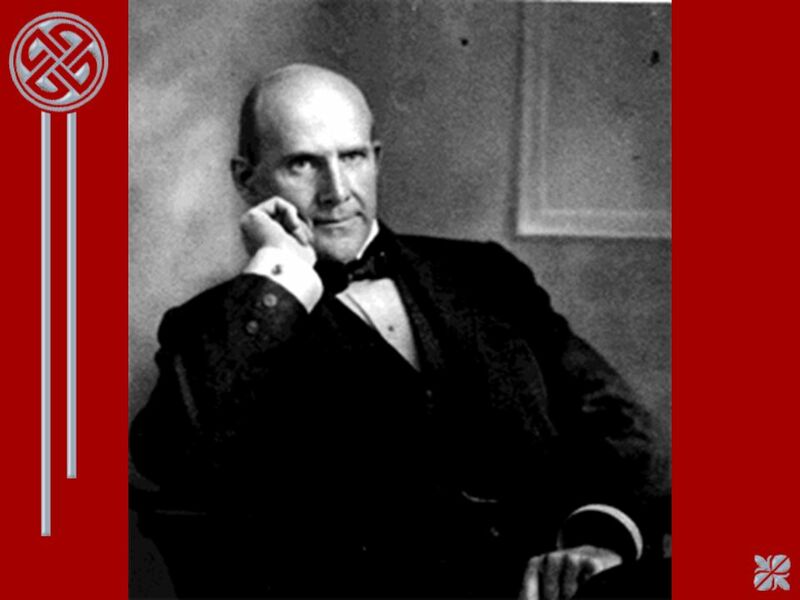 17 Eugene V. Debs Turned to Socialism as a solution to worker problems. 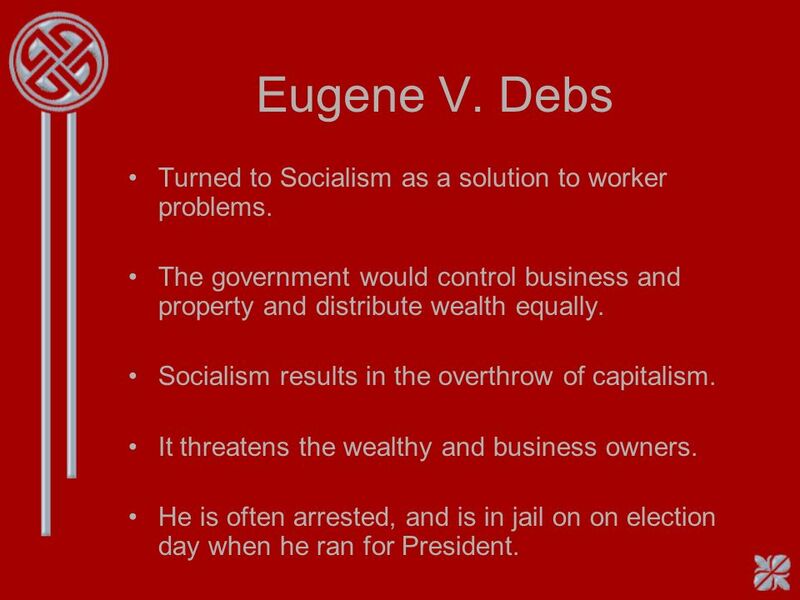 The government would control business and property and distribute wealth equally. 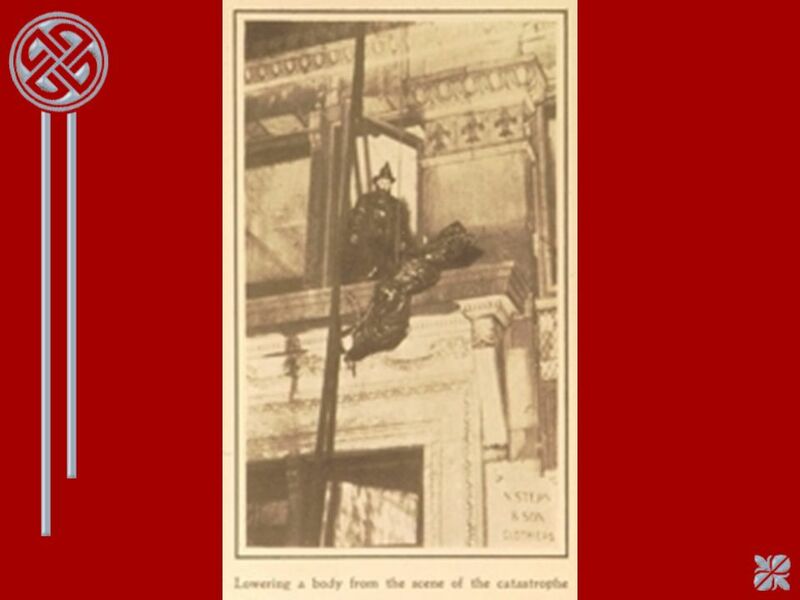 Socialism results in the overthrow of capitalism. It threatens the wealthy and business owners. 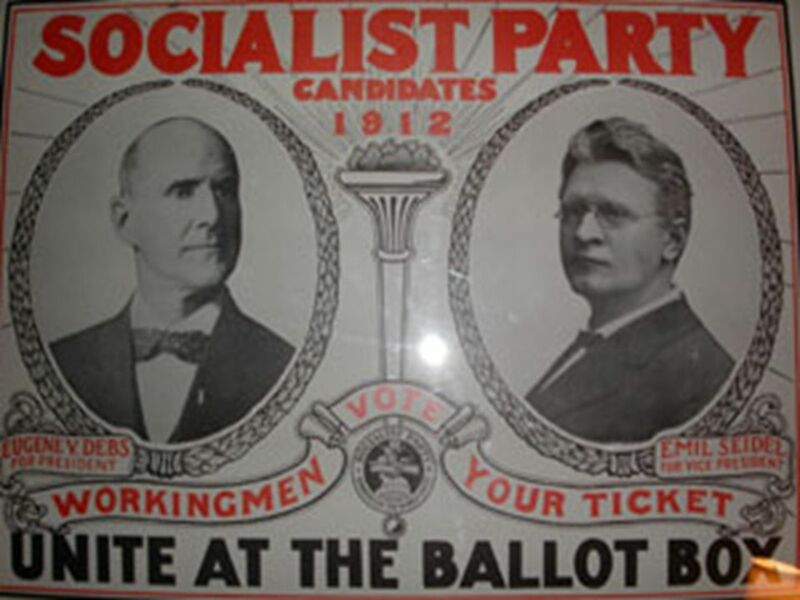 He is often arrested, and is in jail on on election day when he ran for President. 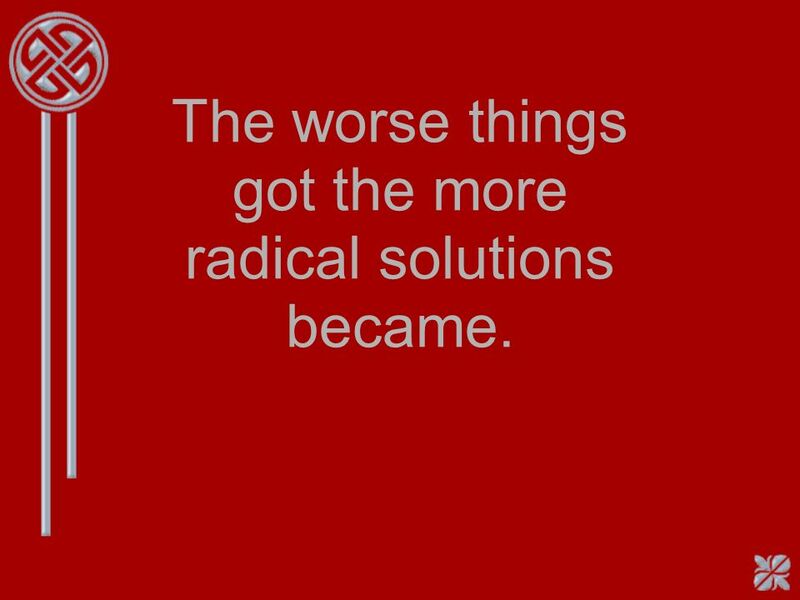 22 The worse things got the more radical solutions became. 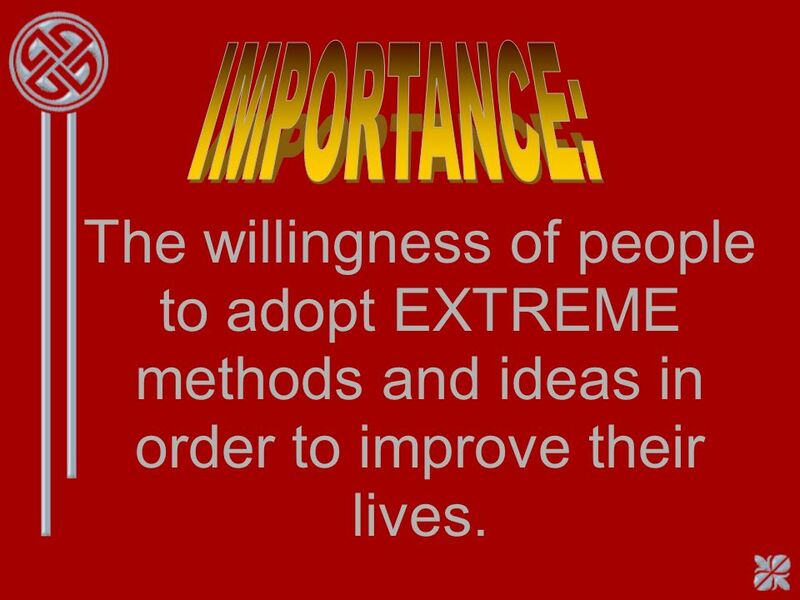 35 The willingness of people to adopt EXTREME methods and ideas in order to improve their lives. 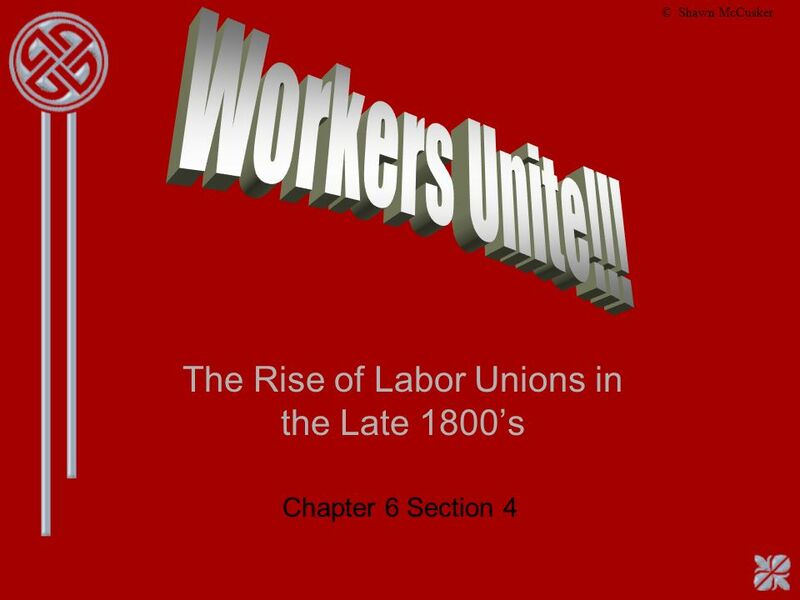 Download ppt "The Rise of Labor Unions in the Late 1800s Chapter 6 Section 4 © Shawn McCusker." 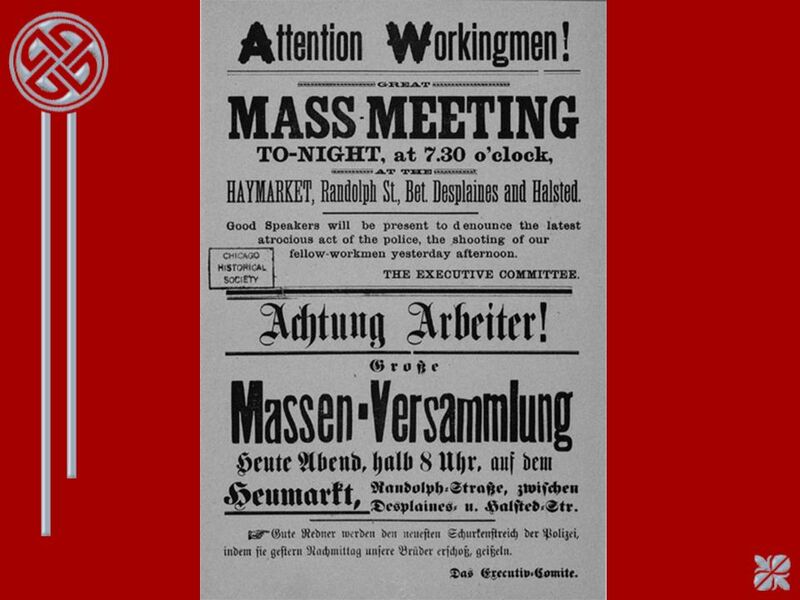 Objectives Assess the problems that workers faced in the late 1800s. 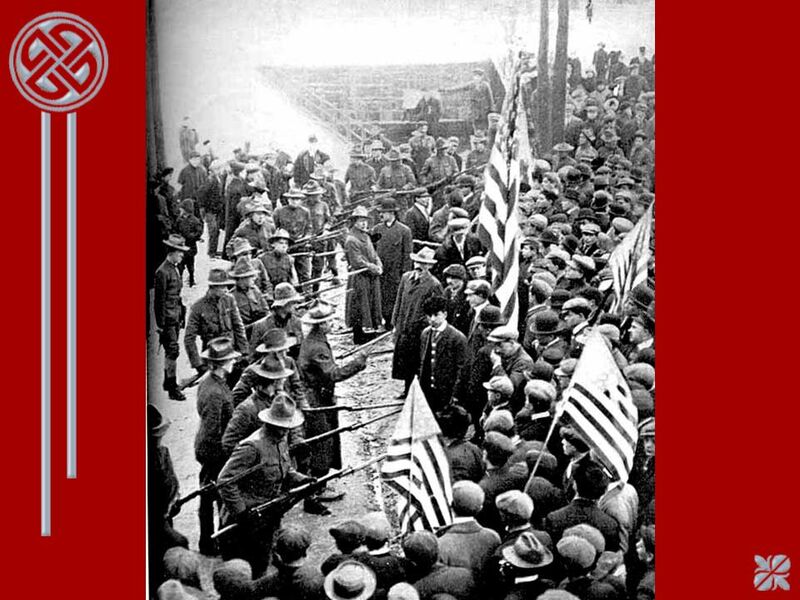 The Creation of Labor Unions and its Importance in the Progressive Era By Joseph Ballesteros, Bobby Klemt, and Alex Mailander. 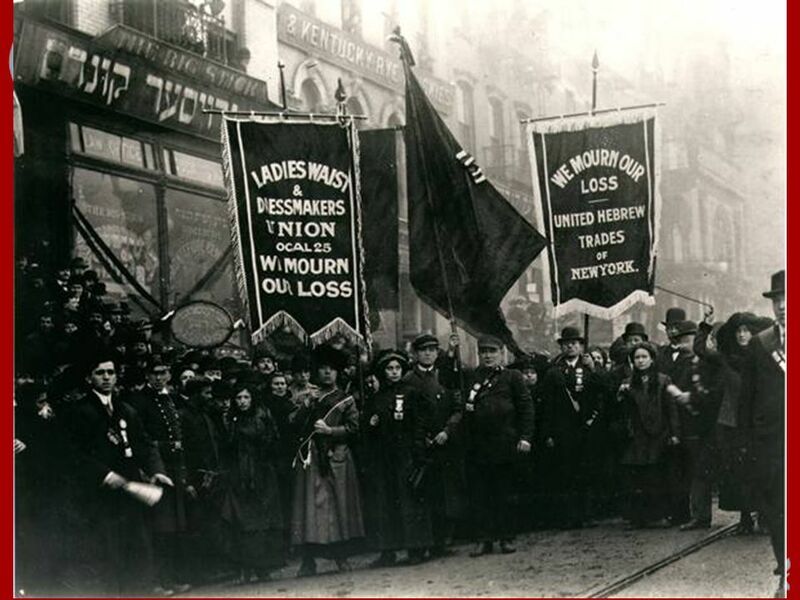 The Labor Movement The Rise of Unions CHAPTER 20 SECTION 4. 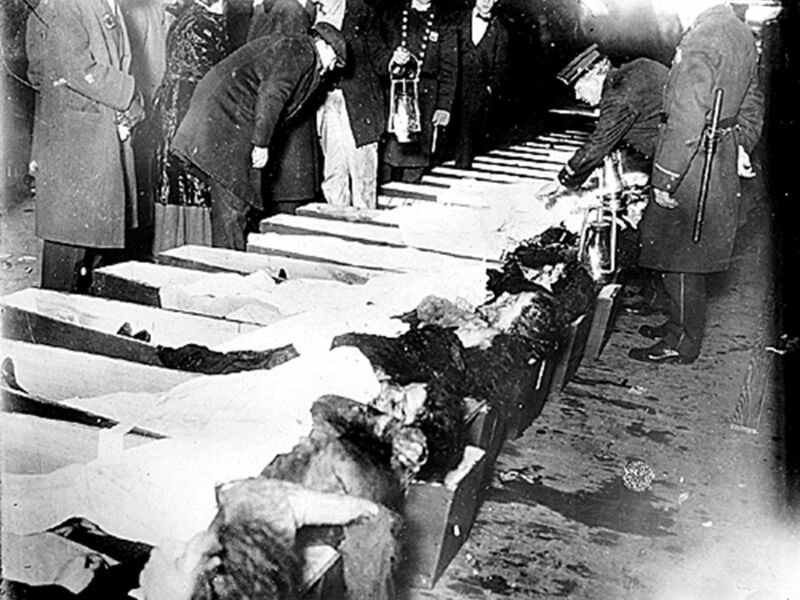 Chapter 13 Section 4 The Great Strikes. 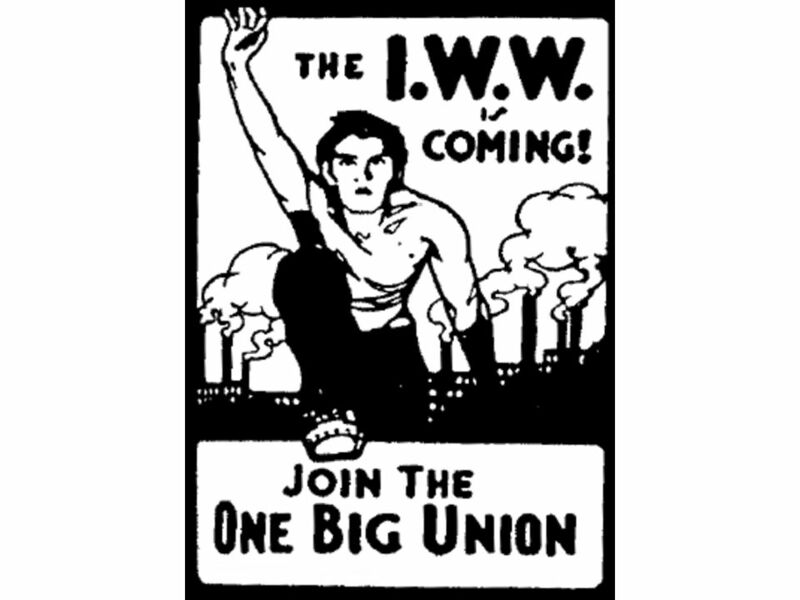 Organized Labor Early Unions Knights of Labor American Federation of Labor Labor Disputes Radical Labor Labor During WW I. 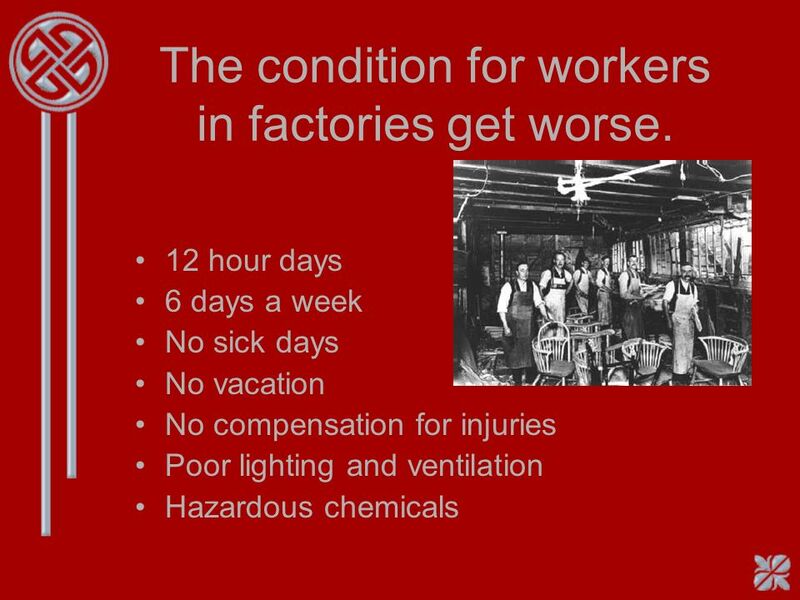 The Labor Movement Chapter 5 Section 4. 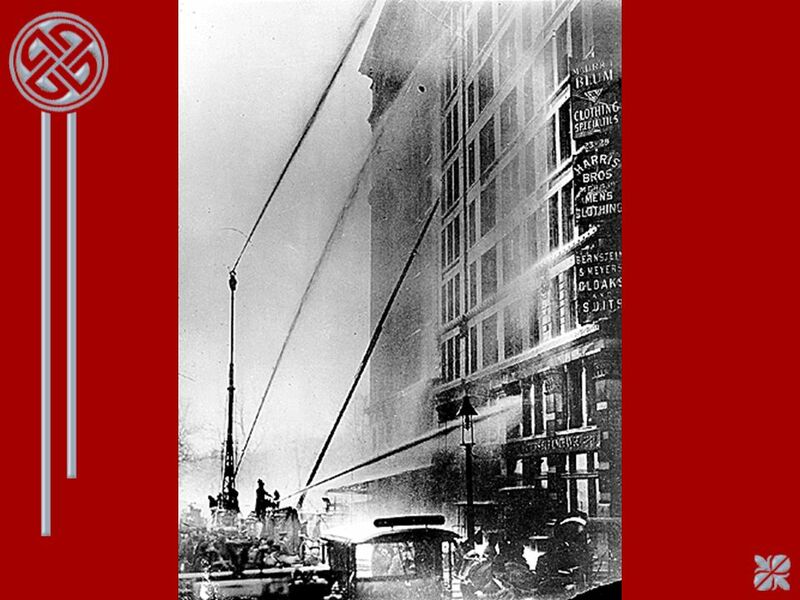 Big Business and Labor terms Part 2  Samuel Gompers  American Federation of Labor (AFL)  Eugene V. Debs  Industrial Workers of the World (IWW)  Mary. 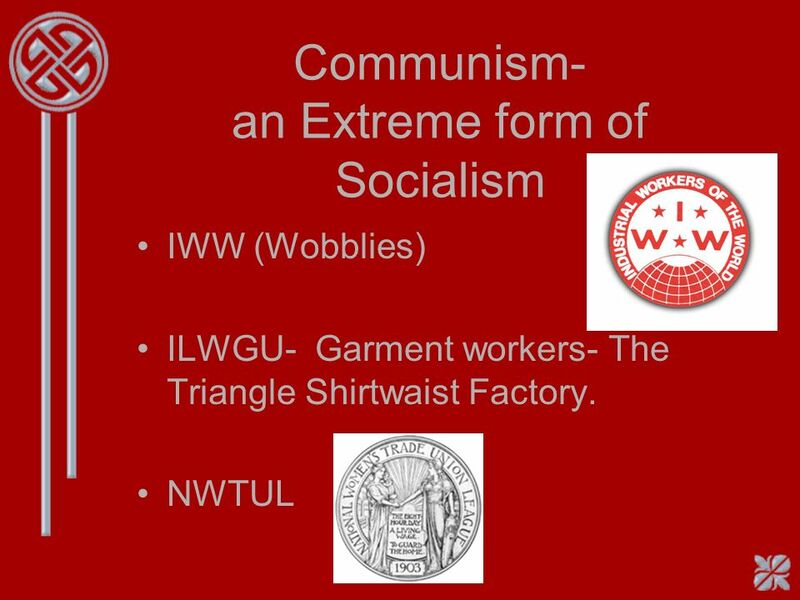 Reforming the Workplace Mr. Williams 10 th Grade U.S. History. 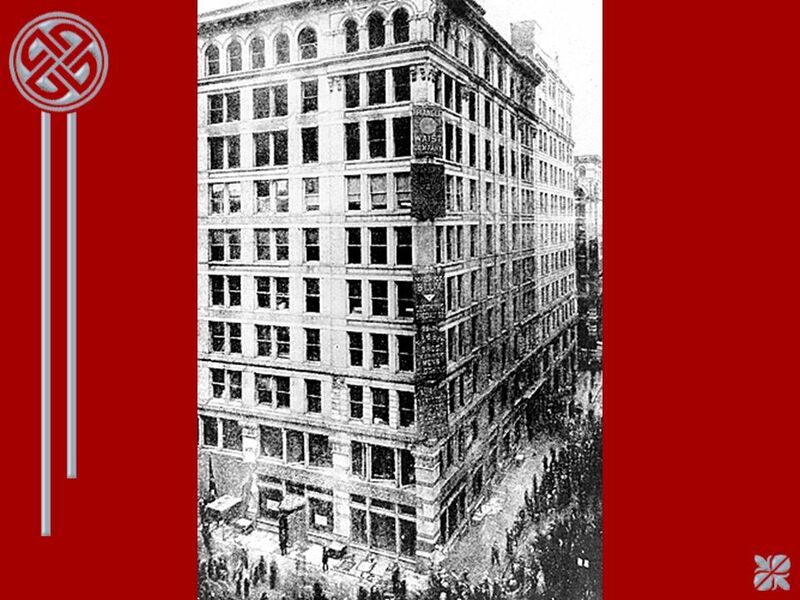  How could the emergence of corporations & the idea of fewer controlling more stifle free competition? 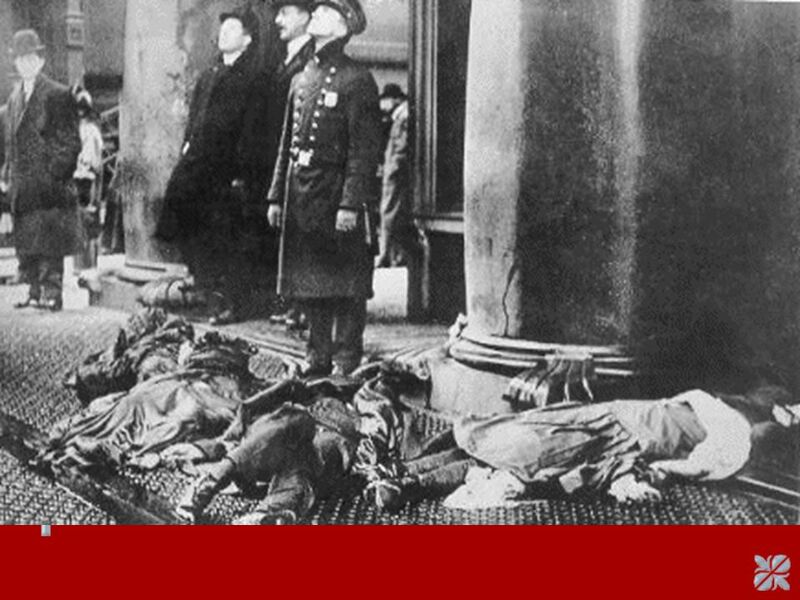  What would you do if you were the government? 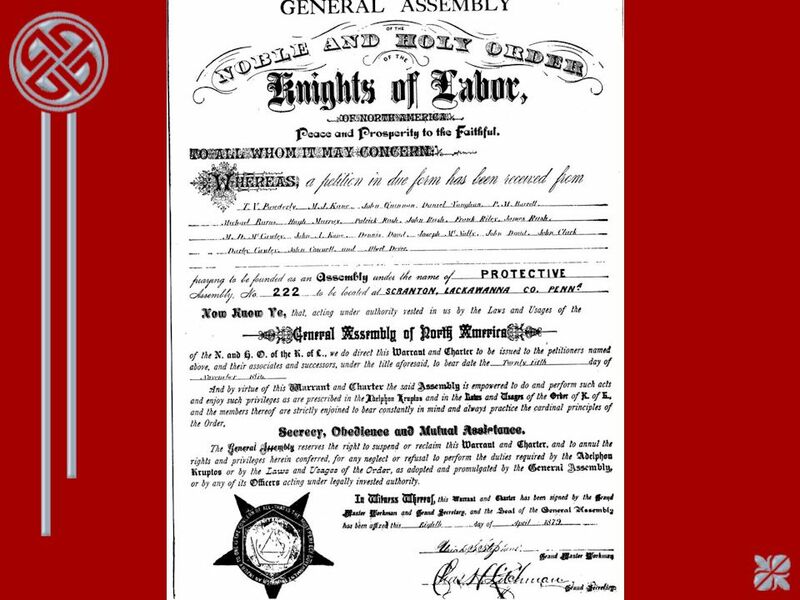 Unions Chapter 14 Section 4. 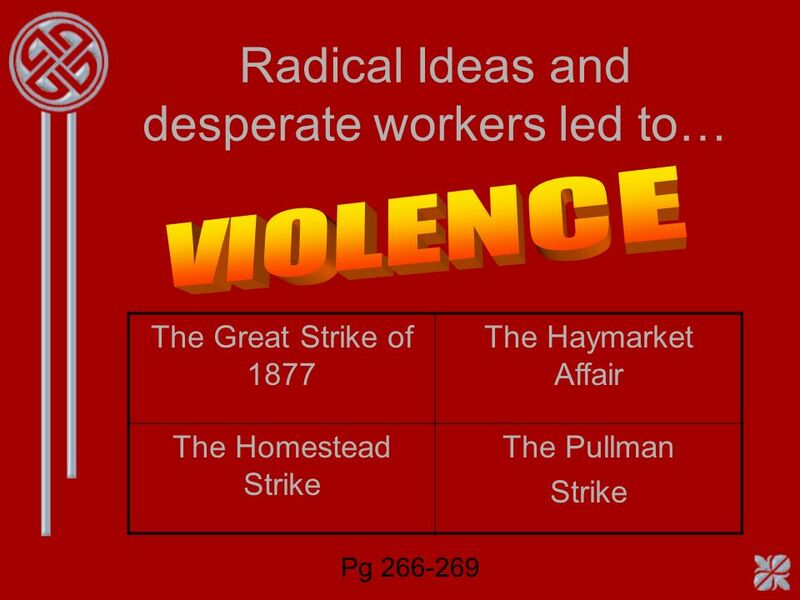 Strikes, violence, and united demands LABOR UNIONS CHALLENGE BIG BUSINESS.